For many people who are looking for a new puppy, trying to find a breeder and knowing where to start is the hardest part! If you simply Google (for example) “saluki puppies for sale” you will most likely be seeing websites from puppy mills or “backyard breeders.” So how do you know who is a responsible, reputable dog breeder? Here are some universal tips to help you! 1. Is dedicated to producing quality dogs that strives to improve on the breed. Dog breeders should always be thinking about how each breeding is going to improve on the sire/dam and be committed to the health of that breed (not continuously breeding same dogs over and over again, or continuously inbreeding). 2. Struggles to break even because of everything invested into the dogs. They will rarely make a profit off of sold puppies. Will only sell to qualified, approved homes and wants to be kept up to date with the puppies throughout their lives. They will never advertise in newspapers and will have an established waiting list for their puppies. Prices will most likely be in the medium to high end of the local range. 3. Has a lifetime commitment (contractual) and health guarantee to puppies. If the puppy acquires a genetic health problem, breeder will take the dog back or help the owner deal with the problem. They can produce health guarantees through testing of breeding stock such as OFA certification, and other testing specific to each breed (research your breed of choice and what genetic health problems are prevalent in that breed). 4. Can explain in detail how and why breeding was planned by describing pedigrees, linebreeding, and outcrossing. They should know exactly why they chose that specific sire and dam, and what they are trying to accomplish (conformationally and functionally) through each breeding. Can identify all bred dogs’ ownership and whereabouts. 6. Has a great passion for their breed. They will be able to talk with you, in great detail, about what the dog was bred to do, the background of the breed, and the AKC standard of the breed. 7. Has a lot invested in dog equipment (i.e. dog kennels, crates, whelping box, grooming supplies, etc). 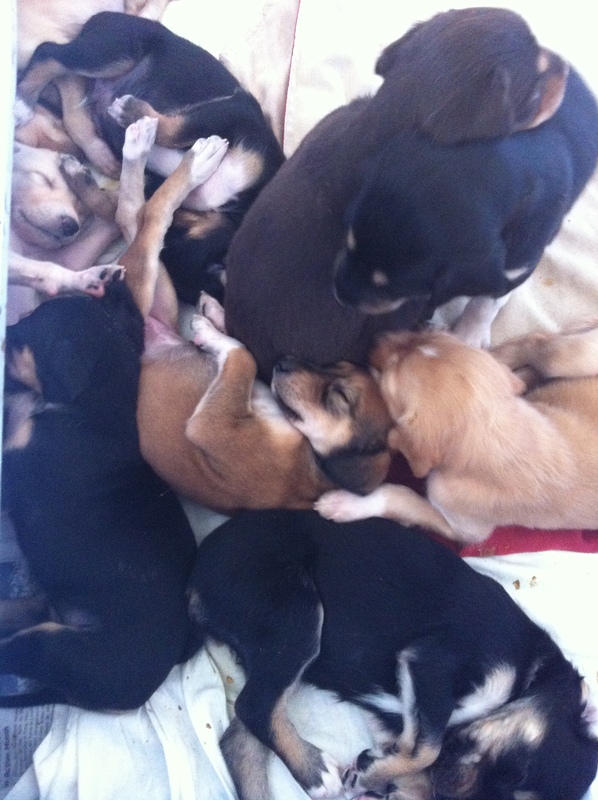 Puppies and other dogs are in a sanitary, spacious environment. 8. Will help prospective homes get matched up with the proper puppy to suit their needs. They will know if the puppy is a “show quality” or “pet quality” and help prospective homes evaluate the puppy’s conformation, functionality, and personality to try to match the best puppy for that home. 9. Are members of a local, national, or regional dog club. This could be dog clubs (i.e. the American Saluki Association), a dog show organization (i.e. Bonanza Kennel Club), or a dog sporting organization (English Springer Spaniel Field Trial Association). Being a member, being actively involved, or regularly showing or sporting their stock shows that they are committed to objectively testing their dogs against others in comparison to the standard. 10. After purchase of the puppy, they are always available to help you with training, grooming, and/or behavioral problems. Will have a contract stating that if for any reason you cannot keep the puppy, it will be returned to them only. They will also have in the contract spay/neuter/breeding agreements. This is a ton of info to take in! So where do you start? The AKC breeder referral search is a great tool in finding breeders, breed clubs, and breed rescues. Is there anything else you feel makes a responsible, reputable breeder?